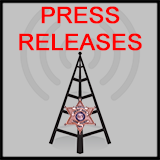 Sheriff Dwight Diehl, has announced the availability of the John Dennis Scholarship. 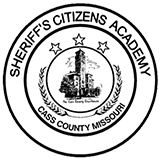 The Missouri Sheriff's Association offers $1,000 scholarships to 16 college-bound Missouri high school seniors who intend to pursue a criminal justice career and will be attending a Missouri college or university. Applicants must be in good standing with their school, have a good reference from their school counselor, demonstrate financial need, have a 2.0 GPA or greater, and be active in extra-curricular activities. Also required, a paragraph attached to the application detailing goals ten years after high school graduation. The award was established in 1988 in honor of former Scott County Sheriff John Dennis. Dennis served his county for 24 years and, in 1963, was elected president of the Missouri Sheriffs' Association. In 1976, Dennis retired from the office of sheriff following a successful campaign for the Missouri Senate seat in District 27, a position he held until his retirement from state government 1992. In 1988, Dennis was presented a Distinguished Service Award at which time the establishment of the John Dennis Scholarship Fund was announced. 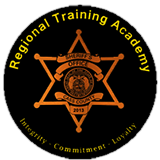 Students interested in applying can download the application HERE, or visit www.mosheriffs.com and follow the scholarship link to learn more, or email karen@mosheriffs.com. The application must be returned to the Audrain County Sheriff's Office, 1100 Littleby Road, Mexico, MO 65265, no later than January 31 of 2015. To print a flyer, please click HERE.